We update our social media pages often. Check us out below on Facebook, Instagram or YouTube! There is not another state in US that has better brook trout fishing than Maine. Some of our ponds and rivers hold brook trout large enough that they can be compared to brookies in Labrador. We love fishing for big brookies! Maine is also home to some of the best smallmouth bass fishing in the country. Many people travel to Maine to chase these hard fighting fish in our larger rivers. If you're looking for lots of action and a fun float in the sun, we have the perfect trip for you! 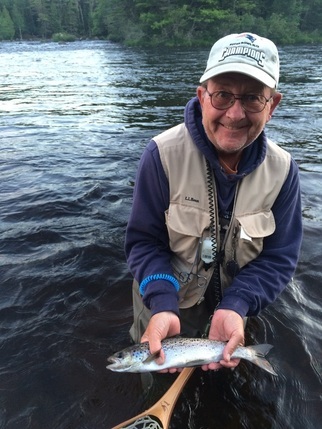 Our Maine fly fishing guides are passionate about fishing. Whether you're just starting out or you've been at it for numerous years, the knowledge that you'll gain from our guides will make you a better angler. Contact us to inquire about a trip that meets your needs. We want to make your Maine fishing trip a great experience for you!